This buyer was sent our way by our personal trainer and we were so appreciative! We met up with her right away to see if we could help. She needed a few months to get things figured out on her end as she was starting a new job in Seattle, so we put things on hold until the time was right for her. Then we got the search for the perfect 1 bedroom Belltown condo under way. 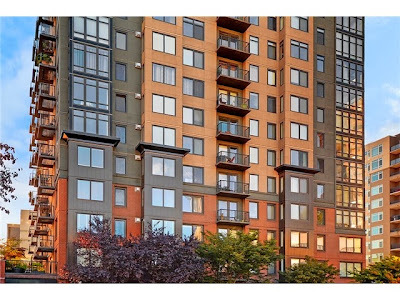 With inventory levels low in her neighborhood of choice, Belltown, we scoured all of our sources in an attempt to locate a condo she would love. We checked Zillow ‘Make Me Move’ properties, searched the Multiple Listing Service and reached out to our colleagues in THE Broker community to see if any of them had a bead on a condo that fit our buyer’s criteria. And it panned out. 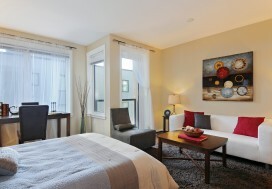 A colleague had a cute 1 bedroom condo at Avenue One in Belltown and we pounced! We checked it out prior to it hitting the market so we could gauge if it would work. Then once it hit the market, we were ready to get our buyer in there on day one so she had a fighting chance of snagging it. She loved it and we wrote it up day 1! Knowing that she was serious and committed to the sale, the seller took our offer and we moved forward on the purchase! Cheers to you Gaylin and we look forward to many happy hours in the Belltown with you soon!